Recent years have delivered a series of inauspicious firsts for BMW’s M division. First automatic M-car. First M-badged SUV. First turbocharged M-car from the company that for years told us turbo engines were heavy and unresponsive. Look back three decades, and the M division’s firsts were exciting. Back then, the motorsport operation that had given us the touring car homologation special 3.0 CSL segued into road cars with the mid-engine BMW M1 of 1979. 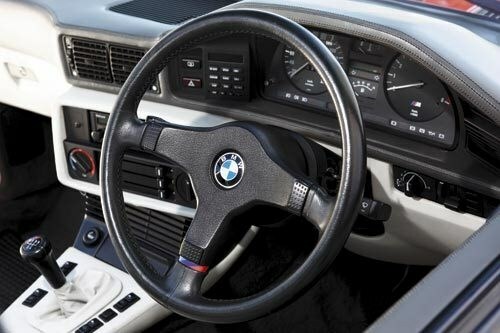 However, the first genuine M road car, and the one that set the template for decades of M-badged super-sedans, came five years later – BMW’s E28 M5. To understand that template, look at the genesis of the M5, which made its debut at 1984’s Amsterdam motor show. Take the flagship in the line-up – in the case of the E28 5-Series, the 535i – and apply every naturally-aspirated trick known to give it race car outputs, delivered with soaring revs and a searing soundtrack. For the E28, the engine came ready-made in the form of the M1’s 3453cc double overhead-cam straight-six with individual throttles. The 535i engine (which provided the block) produced 137kW; the M5’s M88/3 mustered 213kW (at a surprisingly low 6500rpm). The first M5 could demolish autobahns as effectively as it devoured backroads, and it could do each without compromising its ability to do the other. Aero addenda and a sports/luxury cabin completed a driver-focused package and sealed the executive express genre. 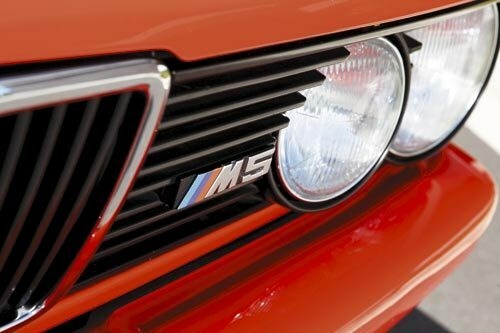 The M5’s motorsport history is limited. 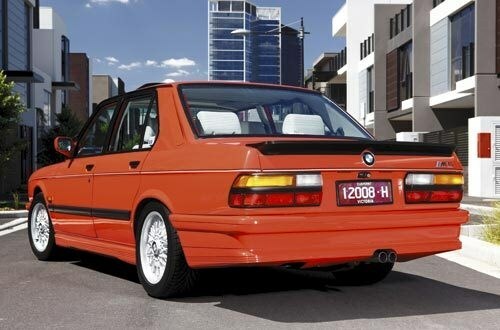 BMW’s 6-Series coupe made a better basis for a race car, and in Australian touring car racing the 635CSi (which in Group C form shared the M88/3 engine) was driven by Jim Richards to his first Australian Touring Car Championship in 1985. 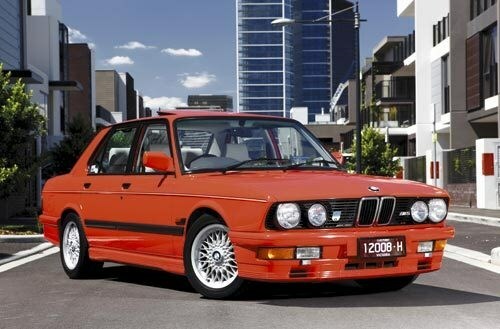 The M5 wasn’t officially sold in Australia. In a local context, the closest thing to it in 1985 was a Holden Commodore VK SS Group A.
Stewart Garmey’s South African-built 1987 E28 M5 is, without doubt, the best one in the Australia, and not just because there are only seven of them in the country. 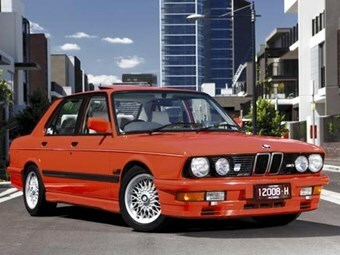 Number five of 96 built in BMW’s Rosslyn plant, north of Johannesburg, Stewart’s M5 was privately imported to Australia in the ’90s. The remainder were built in Garching, Munich, contributing to a total of 2191 globally, 196 of which were right-hand drive. Slight differences between Stewart’s car and the Euro version include the South African-sourced leather trim that satisfied a local content requirement, and the lack of eyebrows on the front guard lips. The mechanical specification is identical. Its gleaming paint is original and the combination of ‘Henna’ red and ‘Lotus’ off-white leather adds visual appeal compared with the more typical charcoal with black trim. The odometer reads just 57,000km and the original spare and tool kit are in the boot. Stewart’s M5 is close to perfect. 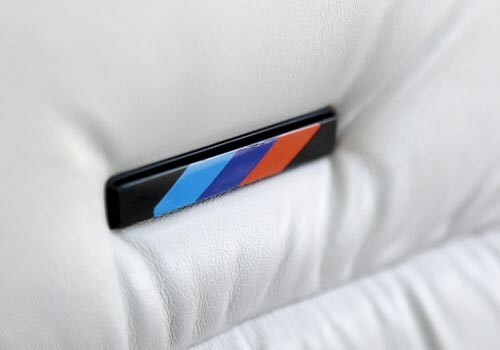 So good, in fact, that when the director of the BMW museum in Munich, Dr. Ralf Rodepeter, saw, then drove the car at a New Zealand event at Hampton Downs Motorsport Park, he wanted it for the official collection. "He did 10 or 20 laps and came back and said ‘this car has to go to Munich’," says Stewart. "All of a sudden it dawned on BMW that it’s right-hand drive – they can’t insure it and they can’t drive it." But would its owner have let it go? "For it to go to Munich, what better home for it?" says Stewart. "But I’d never replace it." It only takes a short drive to imagine what a revelation the M5 must have been in the mid-’80s when it was, for a time, the fastest four-door in the world, boasting a top speed of 246km/h. 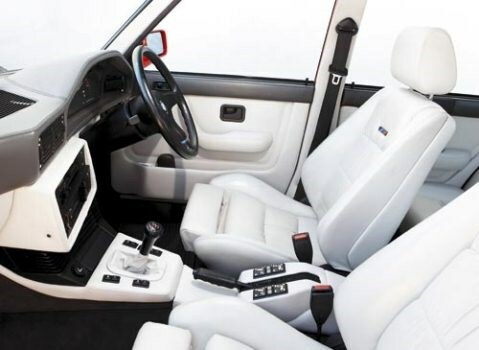 The seating position is relatively high, the cabin bright and airy. Thank the thin pillars, but also the light-coloured trim and optional sunroof (the only option offered). The tacho is redlined at 6500rpm, though there’s no cut-out. The suspension is taut yet comfortable and the cabin is amazingly rattle-free. The clutch has meaningful weight and all three pedals are skewed slightly to the right. 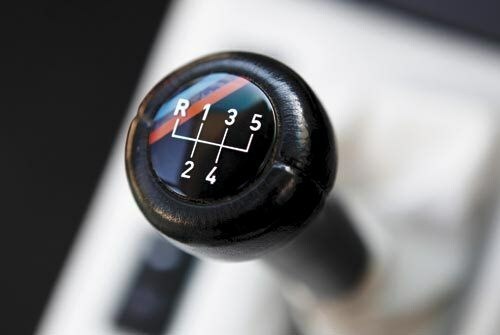 The five-speed standard H-pattern manual (with reverse up and to the left) shifts with a throw only short by standards of its day. There’s a trace of lumpiness at idle to signpost that something potent lurks within he shark-nose snout. At a cruise, the quiet note of the 3.5-litre straight-six comes as a surprise, but the trademark BMW smoothness doesn’t. The slow-geared recirculating-ball steering takes familiarisation. Adjust by turning the skinny, leather tiller earlier and the sensation of initial understeer disappears, and the M5 changes direction with precision and feel. The neutral front-rear balance of the chassis is obvious, even at a moderate pace. Modest 225/50R16 Pirelli rubber lends the dynamics a delicate flavour; the M5 feels more like a four-door sports car than a muscle car. As revs rise through the mid-range, the twin tailpipes fill the air with a muted howl and the M5 accelerates with authority. 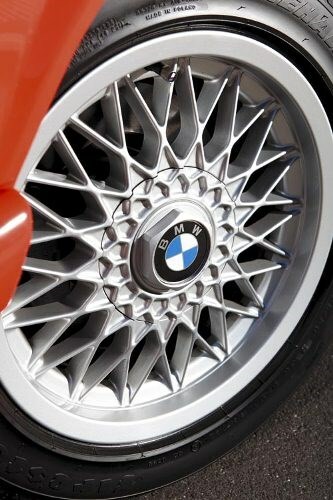 BMW claimed 0-100km/h in what was then a 911-hunting 6.2sec. Stewart says the M5 has proven reliable, requiring little more than routine maintenance, which is undertaken by Doncaster Motors in Melbourne. Amazingly, it turns out Doncaster Service Manager Peter Kaiser worked at BMW Motorsport in South Africa when Stewart’s M5 was built. He built the car! Having driven Stewart’s car and the current M5 in Germany but no models in between, my M5 experience neatly book-ends the five generations. The M5 has evolved from the template set by the E28 to the point that its best rivals now more successfully fit the executive express brief. The E28’s still-impressive engine and sweetly balanced chassis defy its slim-pillared grace, making the first M5 as much about the driving as it is old-school charm and historical importance. The design oozes elegant simplicity, and the leather-everything cabin (even the dash and centre console are trimmed) is an alluring contrast of ahead-of-its-time equipment and of-the-era lack of affectation. Take the multi-way powered seats but thin-rimmed, button-free wheel, for example. The first-of-its-kind significance and M1 motorsport connections are the icing on the cake. The like-new condition of Stewart’s M5 makes it everyday-drivable. But at 26 years old and in this condition, its owner is faced with a conundrum. "It’s too good to drive and too good not to drive," says Stewart. As a result, this slice of Bavarian motoring history spends most of its time parked safely in a polished-tile-floored garage in Melbourne, not Munich. 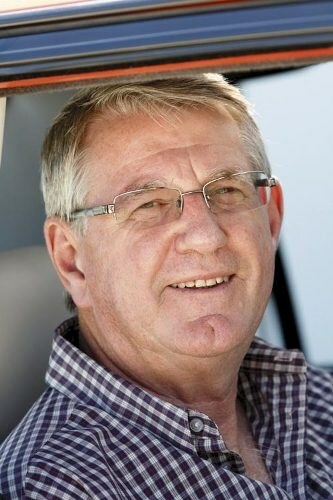 Melbourne-based Stewart Garmey, 63, fell for BMWs after driving a workmate’s 2002 in the ’70s while living in his native New Zealand. After immigrating to Oz in 1979 the Bee Em bug came back. Stewart bought his first – a ’74 2002 – in 1989, which he restored and has owned ever since. 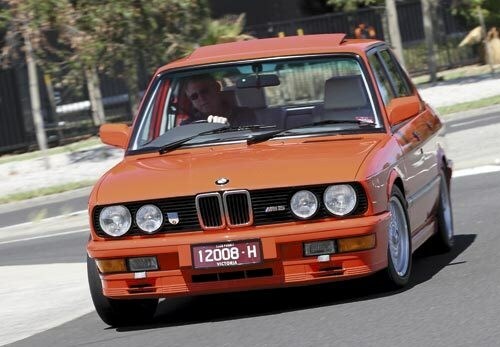 Today, as the president and international delegate of the BMW Clubs of Australia, Stewart is the link between Aussie BMW clubs and Munich, and it was through the club that he came to own the M5, which was brought to Oz by its original South African owner in 1996. 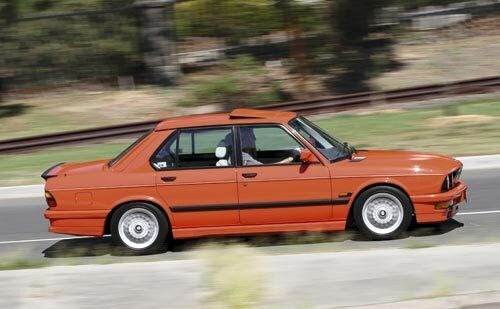 "I’d heard about [E28] M5s but never seen one," recalls Stewart. "I’d always read the road-tests and then one day at a car club meeting it just turned up. The owner said ‘take it for a drive’. So I did – came back and said if you ever want to sell it you have to ring me. He said ‘yeah, yeah, sure’. Three weeks later he rang me. Deal done. I bought it in October 2002 – it’s not going anywhere."